Dr. Michael Smith of NASA's Goddard Space Flight Center, Greenbelt, Md., reported how Spirit's miniature thermal emission spectrometer can be used to assess the temperatures in Mars' atmosphere from near the planet's surface to several kilometers or miles high. Spirit's measurements are most sensitive for the lower portion of the atmosphere, while Mars Express' measurements will be most sensitive for the upper atmosphere, he said. 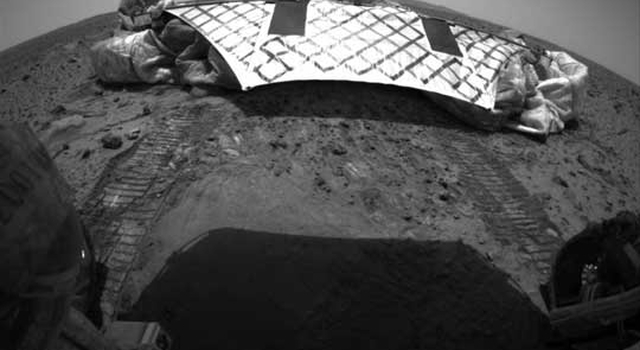 Spirit arrived at Mars Jan. 3 (EST and PST; Jan. 4 Universal Time) after a seven-month journey. In coming weeks and months, according to plans, it will be exploring for clues in rocks and soil to decipher whether the past environment in Gusev Crater was ever watery and possibly suitable to sustain life. 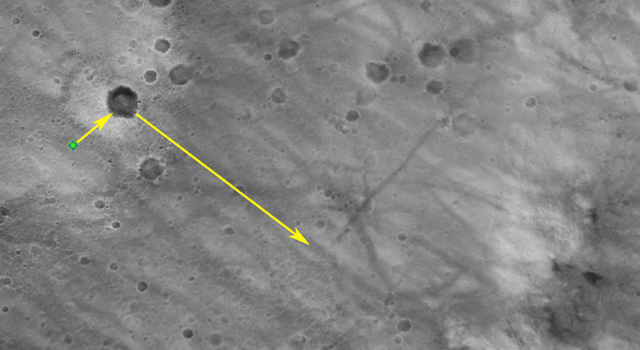 Opportunity will reach Mars on Jan. 25 (EST and Universal Time; 9:05 p.m., Jan. 24, PST) to begin a similar examination of a site on the opposite side of the planet from Gusev Crater. As of Thursday morning, Opportunity will have flown 438 million kilometers (272 million miles) since launch and will still have 18 million kilometers (11 million miles) to go before landing.